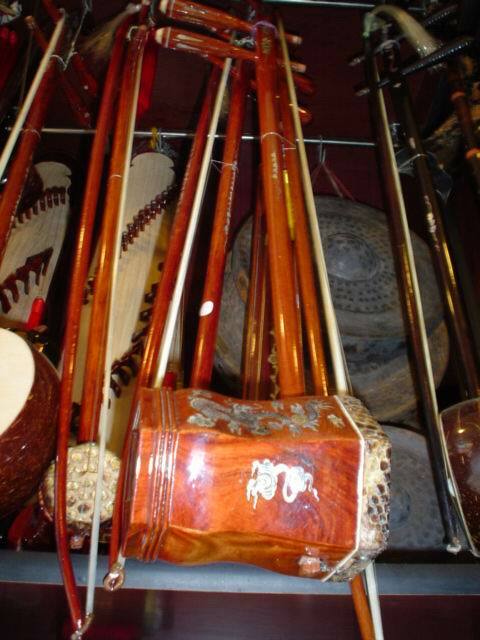 Dan Ho fiddle (Dan Hu) a base fiddle, and Dan Gao fiddle are bowed chordophones of Vietnamese people. Ho fiddle is made from sindora wood or rosewood. Resonator is made from a coconut shell or hollow wooden tube of 4.5 cm diameter with one python- or iguana-leather-covered surface. Being 82.5 cm long, body of neck is round or square, and without frets. One end of the neck goes through the resonator. The other end is known as a head of Ho, has rectangular shape and is bent backwards. The very head is home to 2 tuning pegs. Bridge is made from bamboo or wood with length of 1.5 cm and is placed in the middle of the surface. 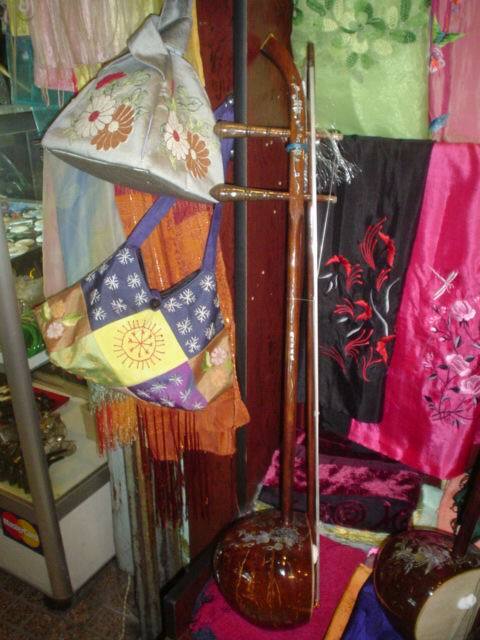 The Dan Ho is longer than the Dan Nhi, and has a bigger sound box made of hard wood, or is made of coconut like the Dan Gao with two thicker strings. The Dan Ho and Dan Gao have the same playing technique as the Dan Nhi but create lower notes. It is used in solos or to support the first fiddle and is made with the same construction materials. 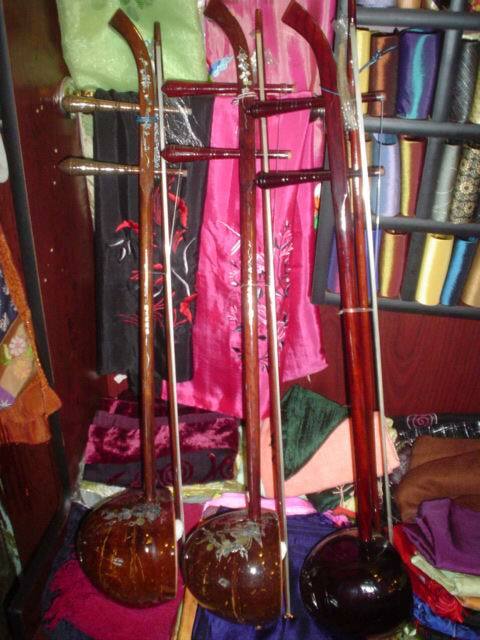 Gauge is made from silk that pulls two strings towards the neck. This gauge serves to adjust the pitches of sounds. Bow is made from bamboo or wood. Bow's thread is inserted between the two strings, so that when Ho fiddle is played, the bow's thread rubs strings and consequently produces sounds. The two strings used to be made from silk, nowadays are substituted with metal, and tuned at a perfect fifth namely Sol - Re1, or Fa - Do1. Ho fiddle is often found in Nh� Nh�c orchestra, orchestra of instruments of 8 timbres, stage orchestras including Tuong, Cheo, and also plays an important role in a Xam band.